In an extremely busy period for big release games I found myself getting very excited for Quantic Dream’s follow-up to the sublime Heavy Rain. This time casting in A-List acting talents in the form of Ellen Page and Willem Dafoe to take you on a supernatural journey. Beyond: Two Souls tells the story of Jodie who has another soul attached to her who goes by the name of Aiden, the storyline jumps back and forth in Jodie’s lifetime and how she comes to terms with having this unusual burden. 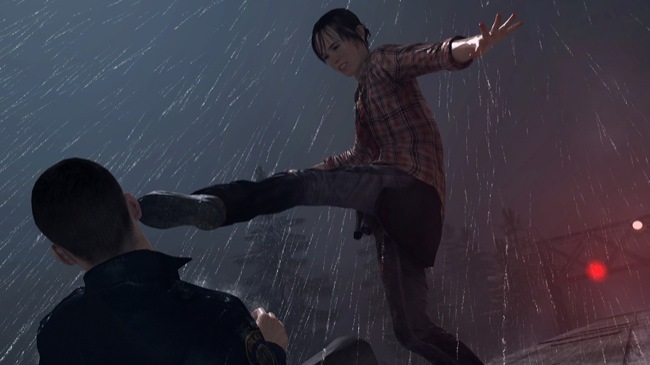 Much like Heavy Rain the game plays out as if it were a movie but you are in control of the character, for example, during a fight scene when Jodie needs to punch or dodge you have to flick the right thumbstick in the direction she needs to move in. The appeal of having the game being wholly narrative based is that you are in control of how the narrative turns out, you make Jodie’s decisions to determine where she ends up at the end. Heavy Rain had this element of control just right having you constantly gripped and thinking about what to do next, however with Beyond I found there didn’t seem to be enough decisions to choose from, it all seemed far too planned. And overall this is where Beyond falls short, it feels as though you are never in control, even if the fight scenes if you fail to do the right moves the outcome will always end up the same, although there are number of possible endings and various other story strands it’s never made clear and it always feels as though you’re just being guided through the pre-written storyline. The graphics and design of the whole project is phenomenal and the performances from all the actors, especially Page is really impressive, but once the initial buzz of excitement from the first few scenes fades it quickly becomes tedious to give the odd thumbstick flick in an attempt to keep you involved in the game. The narrative itself has moments of absolute brilliance and the paranormal element makes for some really interesting moments but particularly in the middle section the whole thing just droops and becomes a chore to get through. The ending goes some way to redeeming this but again feels far too contrived with far too little freedom to decide Jodie’s fate. In short, there are moments where Beyond is really, really good but ultimately it feels as though the makers just wanted to make a movie. It seems there is less gameplay than Heavy Rain and really they should have gone in the opposite direction, whilst it’s a very inventive new method of storytelling it feels as though they are not making the most of what is essentially a game! So the blog has been pretty neglected over the last few weeks, as it always is when I attempt to get back into the relaxed style of university life but this week I have an extra special number of reviews planned beginning with this ridiculously late review of the game that kept from writing for a number of weeks. The highly anticipated GTA V was probably the most excited I have ever been for a game release, especially after it was pushed back from an early summer release to mid-September. The excitement was so unbearable that attending the midnight release was unavoidable, being naive I thought the midnight release would be a pretty relaxed thing with a few people milling about the game shop and picking up their copy. What we were greeted with was a queue that literally spread down half the high street meaning we had about a two and a half hour wait ahead of us. While the wait was painful it all became well worth it when we returned home for the first night/morning gaming binge that would quickly become a regular occurrence. Pretty much since Vice City the Grand Theft Auto series has been my favourite of all the gaming franchises and one of the great things about it is that every time a new game is released in the series it really has been improved upon in almost every aspect. After the sublime GTA IV Rockstar really did have their work cut out for them this time but they’ve pulled it off yet again. This time round the main campaign consists of three main characters all of which have their own missions and joint ones. You’re free to switch between any character at any time. Setting wise, we find ourselves back in San Andreas albeit an updated, bigger version with the addition of Blaine County which is one of the games greatest features as it means that as well as roaming round the city causing havoc you can also head for the mountains and take the chase off-road. 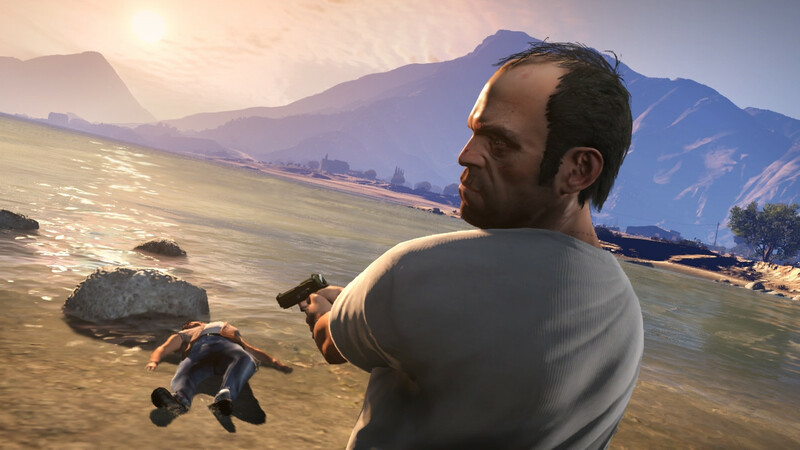 This GTA is by far the most cinematic yet with the sun soaked sky beating down on your epic crime adventure while it’s story may not be as good as The Last of Us, for sheer fun GTA V gives a challenge for being the new greatest game of all time. Then there’s the addition of the new, updated GTA Online which for me, is the funnest online multiplayer mode any money can buy, you can free roam, perform missions, races, death matches, parachute jumps and pretty much do anything you can think of all with the helpful and addictive element of online competition. Overall GTA V is perhaps the most complete gaming package that has ever been created, if you were ever told there was only one game you could play there wouldn’t be a better choice than this. 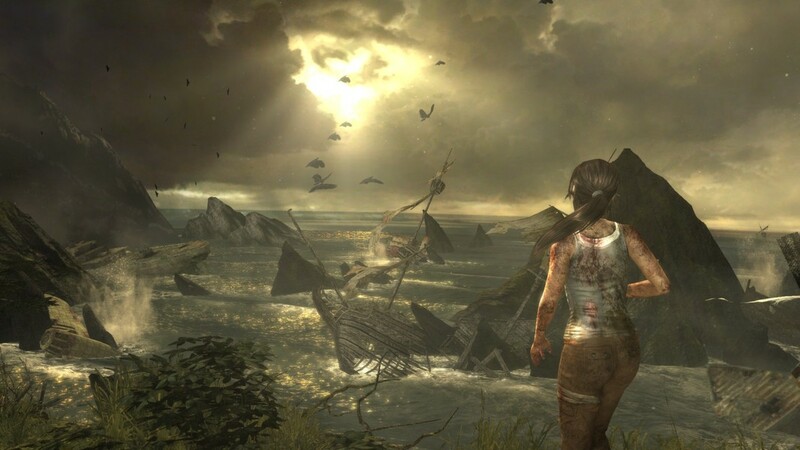 There are few game series that have managed to continue successfully on the current gen of consoles while largely retaining the same premise as their original incarnations. 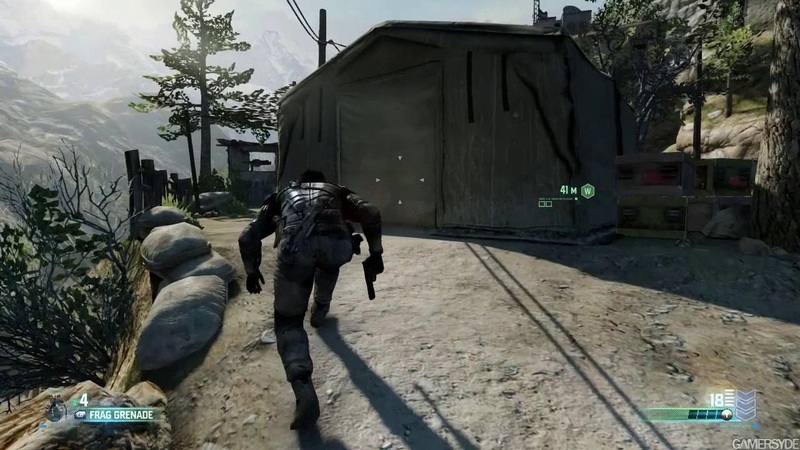 Splinter Cell, however, is one of the few that has remained mostly true to its roots. Despite this its last few efforts have been rather short of the quality the original trilogy had. Double Agent was fun but too short and failed to really utilise the power of these new consoles and Conviction, only being released on the 360 for some bizarre reason, I can’t judge as I haven’t played. With Blacklist though I was more than ready to jump back into Sam Fishers lightweight, custom made black boots. And as you may have noticed from this, rather rambly, opening paragraph not much has changed in the conventions of this stealth action-er but Blacklist does mark a return to form for the, once classic, series. The missions in Blacklist are pretty rigidly structured, after you’ve done a few you know what to expect from the rest, that’s not to say though that they get more boring. Quite the contrary, as you get to grips with the control system, the AI, and different options you could take your mission it gets all the more entertaining figuring out exactly how you’re going to work your way through. Blacklist is one of the best games I’ve come across where you really can choose how you want to play, you can choose to be a ghost and leave absolutely no trace whatsoever, or a panther; remain silent but brutal. Or, of course, you smash your way through all guns blazing and kill everyone off in active combat. And for once no option seems particularly more difficult, less rewarded or, most importantly, less fun. While, as has always been the case with Splinter Cell, you want to be a slick mover and aim to get the ghost rating, in Blacklist it can be just as fun to go on the assault and you’re rewarded with gadgets and trophies for doing so just as much. When you get to the end of the main campaigns, criminally short, thirteen missions you will be pleased to find there are an array of other 4th echelon missions you can find yourself playing through. These missions actually end up being some of the most fun and hardest on the game and as an added bonus all of them have the option to be played in co-op. Its a very rare thing to find co-op playable games these days so Blacklist gives itself instantly more worth than other games that might have better main campaigns in my opinion. It seems same-console multiplayer is a dying art but it’s still a huge selling point for me. The online multiplayer is especially fun as well, offering a fresh new game modes that don’t just use exactly the same conventions as every other game. Overall Blacklist offers one of the most complete game packages your money could buy you and though the story may leave a lot to be desired there’s more than enough extra stuff to make this the best Splinter Cell since Chaos Theory. I’m slightly behind the rest of the gaming world in writing my review for Last of Us and I spent a while deciding whether it was worth reviewing as so much has already been said about it. But as I work through my second play through of the campaign I don’t how I couldn’t write something up about this game and why it completely deserves all the praise that it’s had. Set in a post-apocalyptic environment you play as Joel, whose own daughter was killed in the initial chaos, the main story begins 20 years on from this and Joel and his partner Tess are asked to smuggle a young girl, Ellie, across the state and get here to the elusive Firefly group as she is believed to be immune to the zombie infection and could therefore be the key to finding a cure. The Last of Us marks the biggest step up in game story-telling since the likes of Heavy Rain, its plot unfolds like a film and the fact that you play through only adds to emotional impact. Where in the past games have failed to find a healthy balance between story and gameplay The Last of Us gets it pitch perfect. While the aforementioned Heavy Rain delivered an immersive, well-told story I would argue that it was more an interactive motion picture whereas TLOU is without doubt a video game. It takes well-known elements and conventions from games and does them better than ever before, with innovative level types which require a range of different methods to work your way through and offer a difficult challenge without being painfully hard. It perfectly brings you a familiar feel of gaming that you will have been used to for a long time, meaning it’s easy to pick up, great fun to play, and doesn’t take anything away from the games excellent story. The graphics are absolutely stunning as well, with vibrant colours bursting out when you walk through deserted cities, ridiculously detailed human features and smooth well-designed action animations that really prove how good the PS3 can be while leaving you wondering how the hell the PS4 is going to top this! The multiplayer mode is fairly basic but offers an additional way to play the game and explore the expertly designed environments with enough challenges and unlocks to keep you entertained enough to play through its own campaign-type quests. 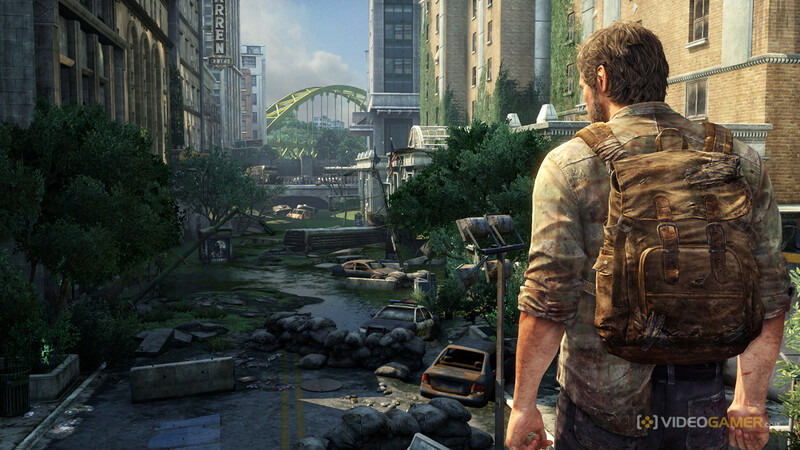 What TLOU marks is the beginning of gaming on a large scale being an art form. It shows the world how video games can tell a story effectively and emotively in the same way films and tv shows do and still contains the features that got you into gaming in the first place. When the critics say this is the best game of all time they’re not wrong and with the PS4 and Xbox One Just around the corner this a fine way to say farewell to a fantastic console. (With GTA V yet to come as well the farewell celebrations to this generation of consoles is only going to get bigger). 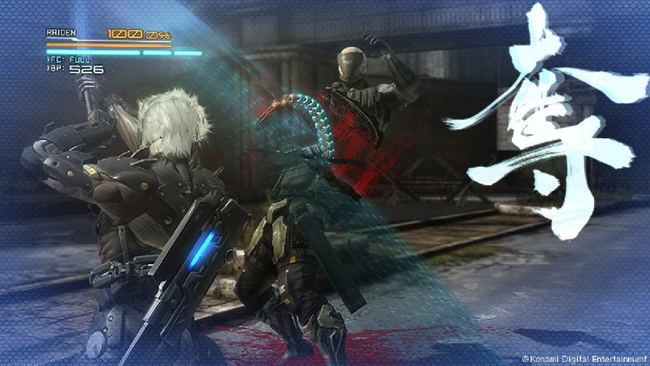 Before the release of spin off title Metal Gear Rising there was a lot of backlash from fans about its production. With original developers Kojima Productions hitting a snag in production and eventually handing the majority of the project over to much smaller developers, Platinum Games people were worried about a drastic change in gameplay and style. The project was still overseen by series creator Hideo Kojima but took a very different approach to previous Metal Gear games moving into the hack and slash as opposed to usual stealth action. The game is slightly awkward to get started with, with fast paced action and a lot of unfamiliar features it takes a level or two to fully get into the games flow. Once you do though Rising is a joy to play. It’s completely over the top in every aspect. The visuals are stunning and the game takes a huge amount of pleasure in bombarding you with ridiculous cut scenes involving lots of slow mo and cheesy one liners. The music is another notable element throughout fusing nu-metal with dubstep and classical its as if it was all designed by an excitable ten year old kid. The blade mode was another factor that had fans worried about how the game would turn out, in the past games that have attempted to involve slow motion fully playable sword fighting have really not worked but the blade mode ends up becoming one of the games most lovable features. As you enter into it you can either opt to slice away every which way you please by swinging the right thumb stick all over the place or just use the attack buttons and let the game do its own thing, when you release from the mode enjoy watching the carnage you’ve caused as your opponent splits into a million pieces often giving you the opportunity to rip their guts out, explode them in your hand and replenish your health by absorbing their energy. The games gore takes everything a step further than it has too making the experience both ridiculous and completely awesome. It does have its flaws, though. The campaign only consists of seven missions, or eight if you include the short prelude, which can be whizzed through in about 6-7 hours making it annoyingly short. There’s also too much reliance on boss fights throughout, despite all the fights being awesome fun they miss a trick by not letting you wander around slashing lesser enemies which is one of the games most fun features. It’s rescued though by having a great replay value, as you unlock Revengeance difficulty after completing making the game even harder. There’s also 20 VR missions to work through providing another challenge which will improve your technique. Metal Gear Rising is nowhere near as good as any Metal Gear Solid games that I’ve played but it was a refreshingly fun game to play through and acts well as a goofy little brother to the originals that’s extremely hard not to love.